Time is flying by. The days are long, the weeks are fast, and actually sometimes even the days are fast. I peg this on my contentment of my life here, I have no desire to go home early or even for vacation. I refuse to stay in my village too long, I mean, I am only living here two years, I NEED to travel Africa. I congratulate those who are able to stay in their village for month on end, but it is not for me and I would go stir crazy. I do get very happy, though, when I know I have a weekend of nothing going on and I can just hang out, reading in my hammock or playing with the neighbor boys. From now until June 22, when my parents arrive, I have absolutely nothing planned. Perfect time to start my garden. Beginning of April was glorious because I was on vacation and travelled to Lesotho with another volunteer, Mike (who is conveniently my boyfriend and closest neighbor). Lesotho is one of two small landlocked countries that resides inside of South Africa, along with Swaziland-which I would also love to visit. The country (with the exception of the capital, Maseru, which really is not very beautiful) is absolutely amazing and plucked straight from a National Geographic. Maybe you can blame it on seeing the same dry, arid landscape for eight months, or the fact that we have not been able to leave Botswana yet and we were getting anxious to peace out and explore, but regardless, it was wonderful. I can say that with confidence because my blisters that completely riddled my feet last week are healing quite nicely and the memories of me pathetically hobbling over mountains with my bandaged feet are starting to fade and be replaced with the beauty of waking up every morning surrounded by insanely isolated villages. Let me just throw in a little back story here. A few months ago Mike and I started to look into hiking through Lesotho, because it had always been a dream of his since realizing he would be living in Southern Africa. I was just like everyone else, meaning I finally went and googled 'Lesotho' after he talked about it enough times and it seemed likely enough we could travel there. I looked into pony treks, which is what the country is famous for, and then remembered I was not especially fond of ponies and I would much rather backpack, Mike agreed. I should have realized by the complete lack of any reviews of backpacking in Lesotho, that not many people did it, and now I know why. We did four days three night backpacking with a guide, which we absolutely needed or we would have been lost in roughly 25 minutes. We stayed in remote villages along the way, in predetermined and booked huts. It was four days of going up, and down, and up, and back down. Which makes sense, they are mountains, but we were unprepared for how hard it would be. I do not remember the mileage but it was between 8-10 hours a day. Luckily, we had amazing views to keep us going. By the fourth day I would have given my left kidney for a Sherpa or a minibus, and don't you worry, I attempted to find both. But alas, we happily (haha) limped back to our lodge, Mike with a painful knee, and me with a couple bum and blistered feet. I am ready to start planning our next trip. The lodge, Malealea, was great and I would go back. It had a great backpackers vibe and we were lucky to meet some interesting people from all over, including seven Americans. I thought it was strange to talk face to face with another American that is not in Peace Corps, considering I had not actually done it in eight months. It was exhausting. It's easy enough my write out 'Yeah, everything is great here and I love Botswana' in an email, but actually having to talk to someone about it, and to stay positive is really hard, I was not expecting it. 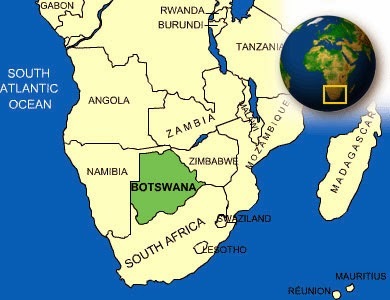 It's not that I don't like Botswana, because I do, but people want to hear about PC as this awesome life changing, doing amazing projects and stuff, and that's just not me right now, and I don't like to be a negative nancy. I think most volunteers agree that we have a weird on again off again relationship with our host country. The projects I'm doing now are fitness classes still, computer classes, I've done one nutrition talk with many more to come (these I actually do quite like), trying to get the HIV support group functioning, trying to work with mothers of malnourished children under five. Trying to get a couple grants done with some community members. Lots of trying, little doing. But I'm ready to bust out these next few months and start some good stuff.